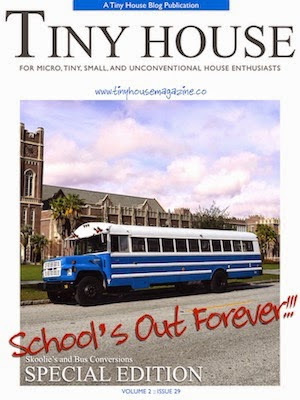 We're very happy to announce that the Just Right Bus will be on display at the first ever Tiny House Conference this April 5-6th in Charlotte, North Carolina. There will be 7 other tiny houses on display and some Tiny House celebrities giving talks and workshops. It's going to be a great weekend! You can check out the conference website and get tickets at http://tinyhouseconference.com/ .